Mayako Nakamura (1976-) is a painter, living and working in Tokyo. She exhibits her work in both domestic and foreign venues since 2009. She explains her working method: "I trace the shapes of space and boundaries in everyday, as my body feels. When numerous senses woven together with the impressions of the reality that my mind has already known, and with the universal shapes that my kokoro longs for, another day appears on my canvas. I'm attempting to create another everyday, which seems more essential than the actual living, by painting atmospheres; emotions and actions that can't be expressed by words; nothing special, but surely existing." 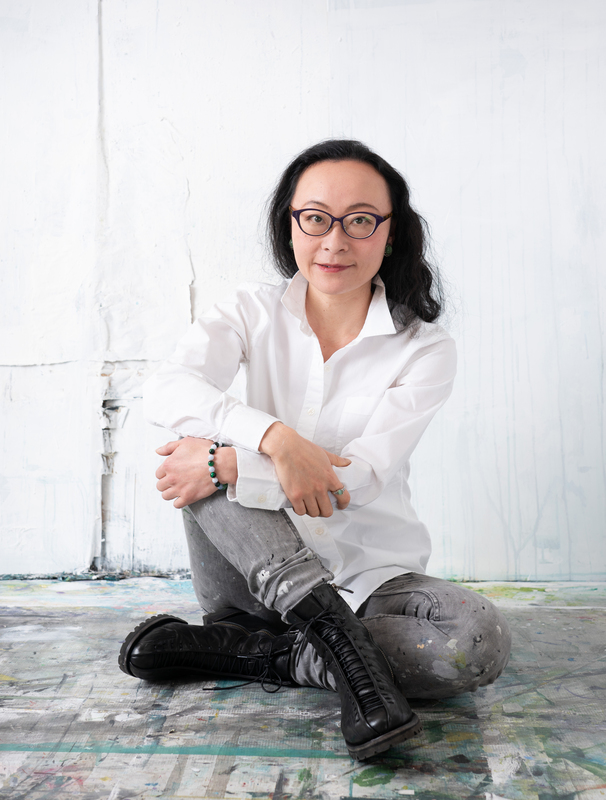 Mayako's works has been used as book cover and CD jacket illustrations, collaborates with clothing brands, creates clocks and ceramic paintings as well as paintings on canvas. “Gathering Kokoro” Tony DeVarco ・ Mayako Nakamura at Marta Hewett Gallery, Cincinnati, OH, U.S.A.
“ReGenerations” Tony DeVarco ・ Mayako Nakamura at Marta Hewett Gallery, Cincinnati, OH, U.S.A.
Cover illustration for Taichi Yamada “Showawo ikitekita” Kawade Shobo Shinsha Publishers inc.
Cover illustration for Taichi Yamada “Yugure no Jikan ni” Kawade Shobo Shinsha Publishers inc.
2016 Calendar "Fragments from the ordinary"
Cover illustration for Taichi Yamada “S Sensei no Kotoba” Kawade Shobo Shinsha Publishers inc.
Cover illustration for Taichi Yamada “Sonotoki Anotoki no Ima” Kawade Shobo Shinsha Publishers inc.
2015 Calendar "Fragments from the ordinary"
The Trampoline・Just the Right Amount・The Winter Berry"
2014 Calendar "Fragments from the ordinary"
Logo illustration for wine glass "St. Vincent Hachioji"
Hand painted fans for "rapu caluson　2012/13AW Pre-order Show & 2012SS Limited SHOP at 2k540"
2013 Calendar "Fragments from the ordinary"
"Uchiwa Workshop" at rapu caluson + mayako nakamura "Colour Form View Dress"
2014 "Handkerchief Workshop" at rapu caluson + mayako nakamura "Colour Form View Dress"
"Pass-case Workshop" at rapu caluson + mayako nakamura "Colour Form View Dress"
2010 Introduced in October issue of art_icle magazine: The 34th column by art sommelier; Fuyuhiko Yamamoto "Mayako Nakamura: Transforming the atmosphere of everyday life into the universal forms and colors"